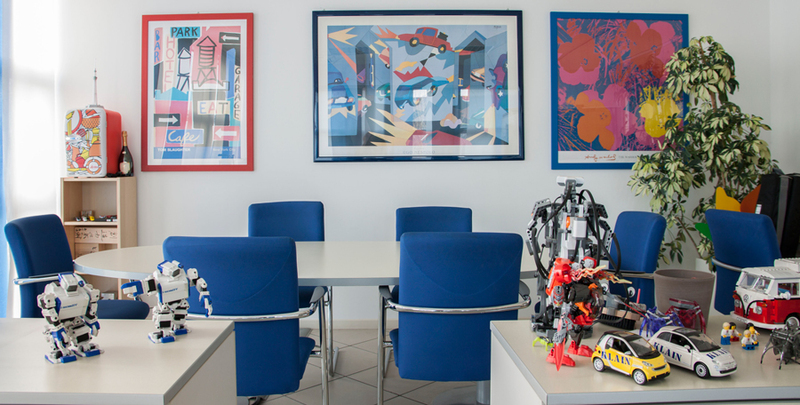 K.L.A.IN.robotics, with headquarters in Brescia, is 5 minutes from Brescia Ovest exit on A4 motorway and distributes robots for the Factory Automation and Mechatronic components on Italian and Switzerland italian speaking markets. second is our Active Service, both with custom training to the use of Mechatronic’s products, as well as assistance and support for Customers, or potential Customers, during the choise and / or development of projects, or during the start-up of installed products, as well as tests of cycle times with simulations in the software development environment. 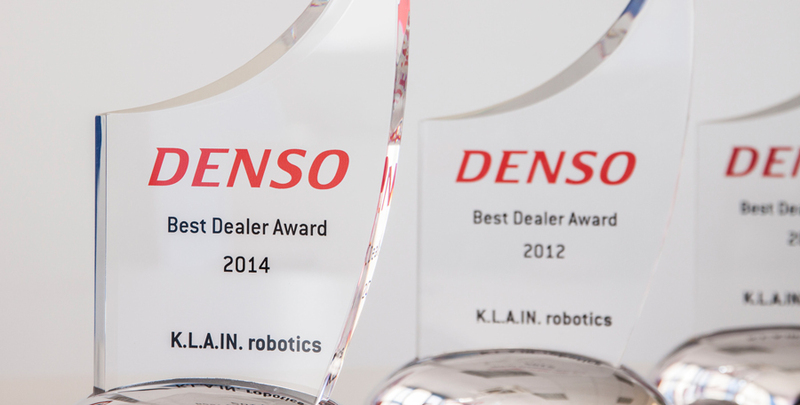 First brand we have been distributing since 1999 and of which we are ‘Europe Best Dealer’ from 2007 to date, is DENSO, a well-known Japanese manufacturer, leader in the market of small robotics, with Scara and Anthropomorphic Robots. The other important brand we have acquired since 2011 is Hyundai, a well-known Korean manufacturer, with Antropomorfi robots up to 500 kg of capacity, specialized for welding, manipulation and employing operations. Since 2013 we are also distributors of the Eyefeeder system, a flexible feeding system, developed for Denso robots, with a robot guide vision system. In 2013 we introduced ‘Full Rental Robot’ idea, that is the rent of robots for variable periods based on the customers needs. Since 2017 we run a partnership with other two brands such as MiR (Mobile Industrial Robot) and F & P Robotics, a Swiss company that developed the collaborative robot P-rob.